Yesterday, I had a telephone reading with Darlene. I've never had a reading like this. My reading was enlighten on many levels I found her to be VERY spot on Accurate & Honest and she delivered her messages in a graceful manner. i highly recommend Darlene and look forward to my next reading. I've seen Darleen a handful of times for the past 8 years and every single time, she amazes me with her accuracy. All her predictions for me have come true, maybe not right away, but after awhile and looking back at a reading, I'm like "whoa, Darleen said this would happen".... I have recommended her to ALL my friends and family - the ones that have seen her share the same sentiments as I do and have had nothing but a great experience. I had been sckeptical about psychic readings since I had some bad experiences before. However, when I saw her photo, there was some positive energy which gave me faith. And my intuition did not prove me wrong. She was awesome. First of all, she has this positive aura about her which is warm and soothing. Then, her visions and readings are deep and insightful. She does not try to predict a lot; however, she identifies the crux of the matter and conveys it to her. She also is very gentle in offerring a possible solution. She does not come across as an authority figure trying to convince that she is seeing it right. She keeps the energy channel open and sends love which in itself is a great starting point for solution. I am really happy that I called her. My wife also called her later and she had a wonderful experience and guidance as well. Thank you also for your readings...it was amazing to hear you describe my mom, myself, and my dad and his family. I would love to come back again soon. During one of my readings, Darleen mentioned that I would be getting a new car. Well, I had recently purchased a brand new car (within the last year) and I loved it and had no plans of getting a new one anytime soon so, of course, I didn't believe it. Then I thought...I'm in the car business and surrounded by new cars everyday, maybe that is what she is picking up on? "Nope!, she says...I see you getting a new car". Well, hmmm now I'm freaking out thinking mine will soon be stolen or involved in accident and I'll need to get another one? "Nope again! as Darleen was not seeing any mishaps in my future. Well, about 4 or 5 months go by and Mercedes comes out with an employee program that not only made a new MB affordable but would reduce my current car payment by $233 per month! I would have been a fool not to take advantage of that program and just like Darleen predicted...I got a new car!! I especially love the times when I think she is way off base and am proven wrong because it confirms that I am not wasting my money on some fly-by-night psychic...Darleen is the REAL DEAL! Darlene is warm, caring and a consummate professional. I was referred to her by a coworker in the Seattle area so I do phone readings with her. She is incredible! Without ever having met me, she told me about a medical condition I have. She also told me the name of someone that came up in my reading and the next day, I was contacted by the person whose name she saw. She has been extremely helpful in guiding me along the right path in both personal and business relationships. Her insight is invaluable! Amazingly Accurate! 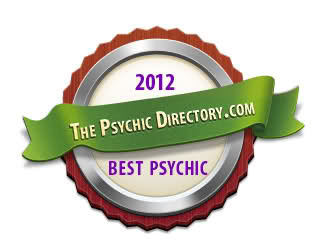 I have known Darleen for many years and believe her to be a very accurate and gifted psychic. She offers great spiritual wisdom in a compassionate and loving way. She has helped me in so many ways with relationships, as well as business transactions. Darleen has been very accurate. I would say 90%+. I have been talking with her for over 5 years. She has helped me with many life decisions. More importantly she has helped me become a better person. She has also been helpful to many of my friends and coworkers. Highly recommended. While going thru one of the most difficult times in my life I came to Darleen she has been very good at guiding me. Darleen's accuracey is some times a little unerving and it always gives me something to think about after a reading with her. Darleen has never taken advantage of me as could easily be done when someone like me who is really trying to get thru a very dfficult situation. She is warm and caring and really understands and wants to help. She really hits the nail on the head with her readings. she truly has a gift and has a really sweet spirit about her. she has a positive out look which is hard to fake, at least over time. I have been going to her for several months off and on now. I really enjoy her and she has been a great comfort and help to me. Right ON I went in there with my roommate for an astrology reading. We both had our separate reading. She was accurate on both of our charts, our major life defining timings and offered very useful advice for our questions. I found her to be polite, detail and knowledgeable. Overall, a great experience. She would definitely be on my list to visit her again. Absolute Best Intuitive Darleen is the absolute best intuitive. We discovered her through one of our close friends. Her ability to be both accurate and deliver information tactfully is impressive. She tuned in without us telling her anything. I felt like I didn't even have to say anything and she laid out all the information that I needed to know. So happy to get a reading from her. Will come back again. Thank you. I've been going to darlene for a little over 5 years now. She told me things that i would have never believed would happen in my life but sure enough they happened. Something great about Darlene is her upbeat positive attitude towards life and her, i must say, memory...there was a break of possibly almost 20 months when i havent seen her or talked to her and she remembered me when i requested a reading. I must say quite impressive considering the amount of people she has seen during that break. In closing she is a great person to get a reading from so far no complaints and i'm sure none to come in the future :) . The first time I ventured to Seattle to seek spiritual guidance from Darleen it was my perception that I would probably be giving away money; but I was wrong. Within the first ten minutes of my encounter with Darleen it had become clear that this unique woman was profound in the art of spinning magical wheels of both insight as well as healing. Right away she was able to tell that I had just concieved, and told me that I would have a son; eight months later I gave birth to a beautiful baby boy. Also, three years prior to this encounter I had lost my father to diabetes, and unfortionately, him and I were not on the best of terms when he passed away. Darleen was able to get in touch with his spirit and even went as far as to provide me with intimate details that only my father and I would know; such as us playing the guitar together, and the gift I had wanted for my college graduation. This intercession gave me the priceless closure I needed to heal and move foreward in life. Since this encounter I have gone to Darleen multiple times for guidance in areas such as realestate, marriage, career path, and for the cleansing of my own inner-demons; such as my needing to quit smoking and be more compassionate to my husband in order to better myself as a wife and mother. On a different note, I have always felt safe talking to Darleen, as she does not judge, rather she guides like a remarkable shepherd tending to her flock. Words cannot express my appreciation for all darleen has done for me and I'm confindent enough to say that I highly recommend Darleen's guidance to anyone seeking assistance in this fantastic genre known as life. I last spoke with you in November 2008. My husband and I were in the process of adopting our son, Daniel, from Guatemala. I realize you can't remember all the people you read for but I wanted to tell you that you were 100% correct in when you said the adoption wouldn't be completed and finished until February 2009 (although I was SURE we would have him home by Christmas 2008 ). I was totally a skeptical person when it came down to some peoples ability to intuitively pick up things from your life until I met Darleen. We were strolling through the Pike place market and thought it would be interesting to prove our scientific mind right again. So we went to get a reading from Darleen for an entertainment sake. She picked up our cards and picked on the legal issue that has bothered me since last year. She told me that the issue started in August last year and will finish this year in fall time frame (True). My issue is finalized in October this year, Fall time frame (Just like she said). She said that the decision would be in my favor (although I didn't believe so). So it happened in my favor. She picked up the last name of this person who I was having this issue with, along with other accurate information. I felt the delivering of her communication was soft and gentle more like a counselor. My sister (after her friend saw this psychic) told me about a great psychic in Seattle that was amazingly accurate. I finally called for the first time in Sep 08, and I have been getting readings from Darleene periodically since. I am a firm believer of "God paves the way for all", so when I spoke to Darleene for the first time, I was appreciative of how her reading was premised on "still having faith in God", and it all rest on the individual. Outside of that, Darleene will start talking and reading you what comes her way (whether through tarot cards, or what she senses). She is not a mind reader, or will not give absolute particulars about the future. Accuracy is all relative, but I have to say that Darleene is pretty accurate with me. I've never had any complaints. She will tell you the good with the bad, and it is up to the individual to choose to believe. From my personal experience, she has told me random things that has happened 1, or maybe even 2 months later, which I remember only because it happened pretty close to how she has described it. Darleene has served to be my spiritual counsel, as well. She is personable and always try to find the positive, even when she has to deliver negative reads. At the end, she will leave you feeling comfortable and light hearted because if something negative does show up, she will help you work through it with no pesonal agenda. Make no mistake, she has the gift, but she is only human - everyone has this ability and Darleene will be the first to tell you that. If you are looking for a fortune teller, Darleene is not the one for you, but she definitely has the "gift" to sense and see things as they come. I went to see Darleen for a reading not really knowing what to expect. I knew I was just in a very painful point in my life and really wanted to find some guidance. As soon as I sat down, she knew the strained relationship that I had with my brother but told me that would pass ... and sure enough it did. She also saw an upcoming move with a job offer, I hadn't told her that I had a phone interview with a company later that day and true to what she saw in the cards, I got the job and will be moving here very shortly. I come from a very scientific background so I never believed in "fortune tellers" but Darleen doesn't do that. She reads the situation around you and gives you guidance in a very confusing time. She gave me a sense of calm that I couldn't find anywhere else. I highly recommend her, even to all the non believers out there. Darlene was absolutely amazing! Things that I thought were absolutely impossible, happened. Not one or two, but ALL of what she said came true! There were at least five points I knew were impossible..could never happen. They did! She described my future husband (the man I would fall for) in detail. Crazy detail. Everything from his height, to the color of his eyes, career, uniform, where we'd meet, his name (first and last)...all of it is true!! She also warned me there would be a chance I would not be with him, if an ex with a violent streak was around. That is so sad, but true. My career was going well at that time. When Darlene said I would take a leave, have an unkind influence, have to work two jobs for awhile...I thought, "She is whacked! I will never give up my career." She also said after a leave I would come back stronger than ever. I am happy to say after two years of hell, I am back and happier than ever! The grand-daughter with dark hair and big beautiful eyes that I said was impossible? (My son is really careful.) She is the most beautiful baby in the world!! I would recommend Darlene to ANYONE whom has the mildest curiosity or deep desire to know about the future. Darleen is amazing!!! I have been talking to Darleen for years, and she is truly talented with a wonderful heart. She can sense a deeper level of life than most of us, and she has such a wonderful desire to help people. I am a different person because of her consulting and honest interpretation of my life. I am so thankful to have found her and hope to have her in my life for many years! :) She is truly a blessing!! For example: I recently talked to her and she mentioned I would meet a dark haired, blue eyed, tall man, but he was standing in the field which she thought might mean I needed to meet him online. So, I signed up online, and sure enough this tall, dark haired, blue eye handsome man contacted me and quoted Rumi with "Somewhere between all right and wrong there is a field, I'll meet you there." It was amazing...just like she said. I would meet him in the field and he said to meet him there. How incredible!! Thanks, Darleen! I'll keep you posted with updates! 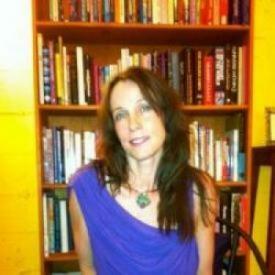 Darlene Christopher exceeded my expectations, by giving me the most insightful and meaningful reading. I had not expected the reading to be so accurate, and she was able to see previous situations as they had unraveled, and pinpointed precise experiences as they had once occurred in my life. She saw my struggles with certain individuals, and offered names of people that had impacted my life. Throughout the reading she was consistently accurate, and stated the truth with each question I asked. She was straightforward, honest, and compassionate and delivered messages with integrity. I highly recommend meeting with her either on the phone or in person. And she is extremely generous, going overtime for our session. I can't thank her enough for the insight she gave me.